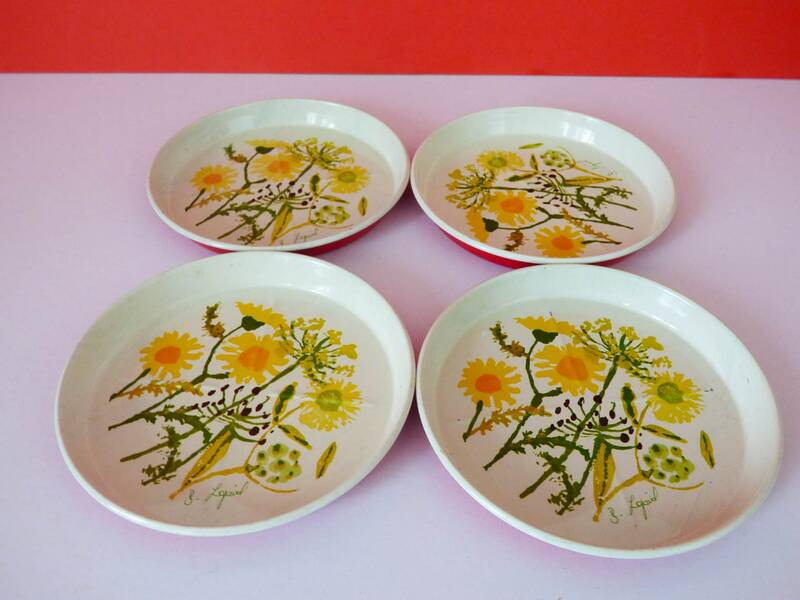 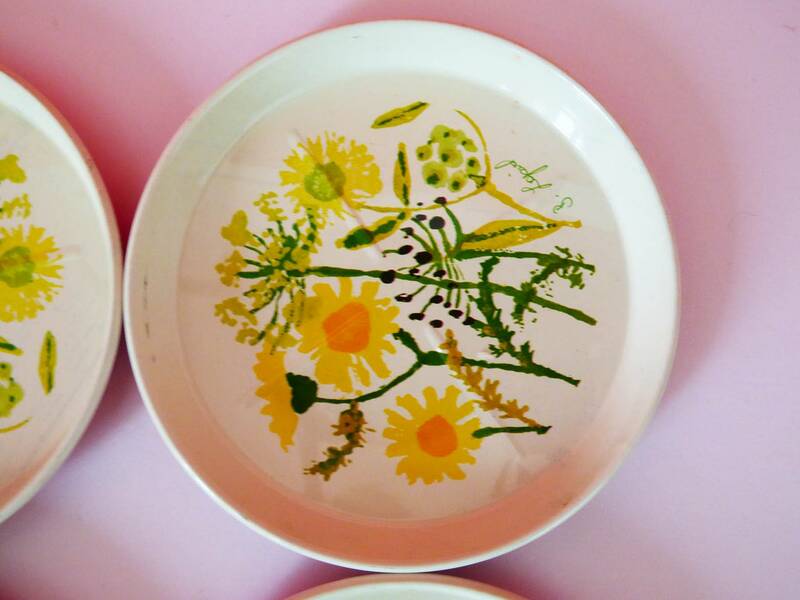 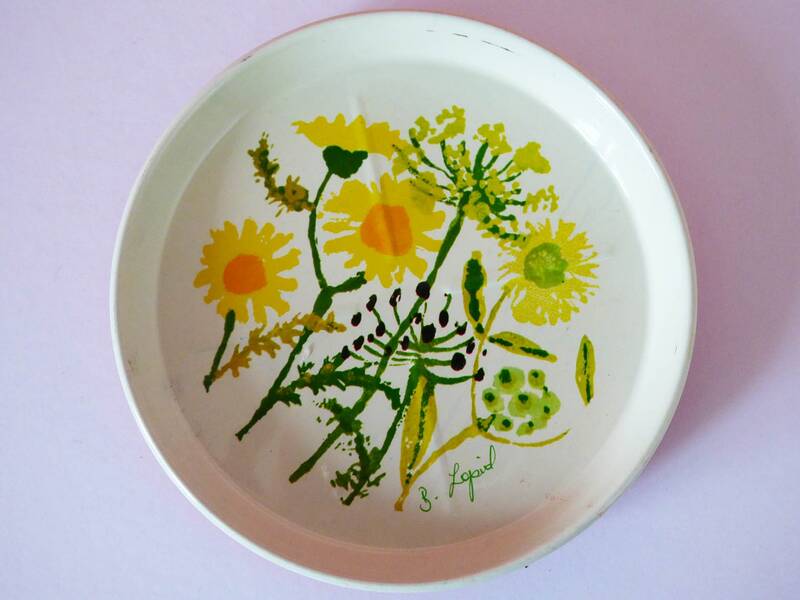 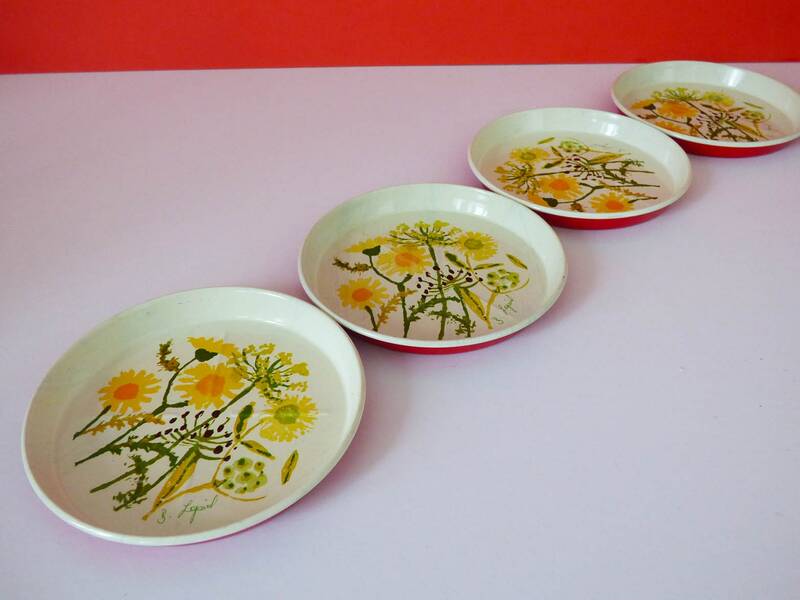 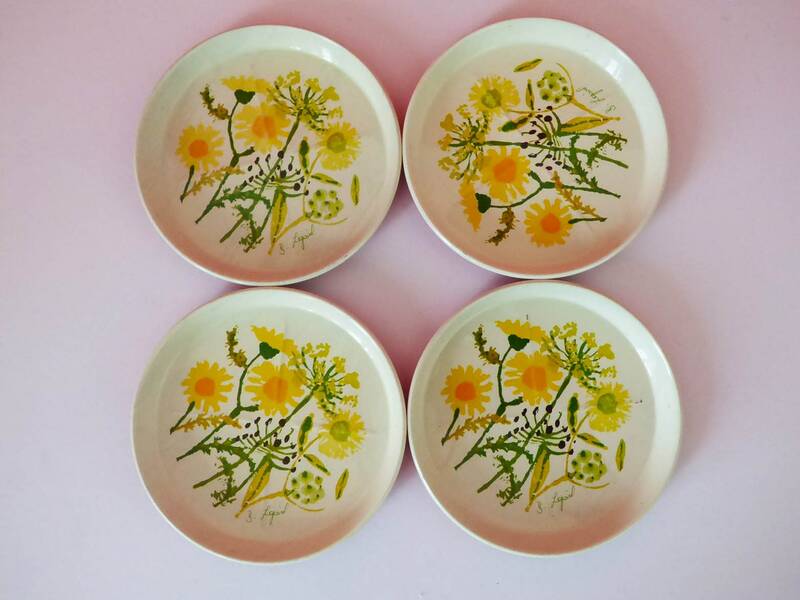 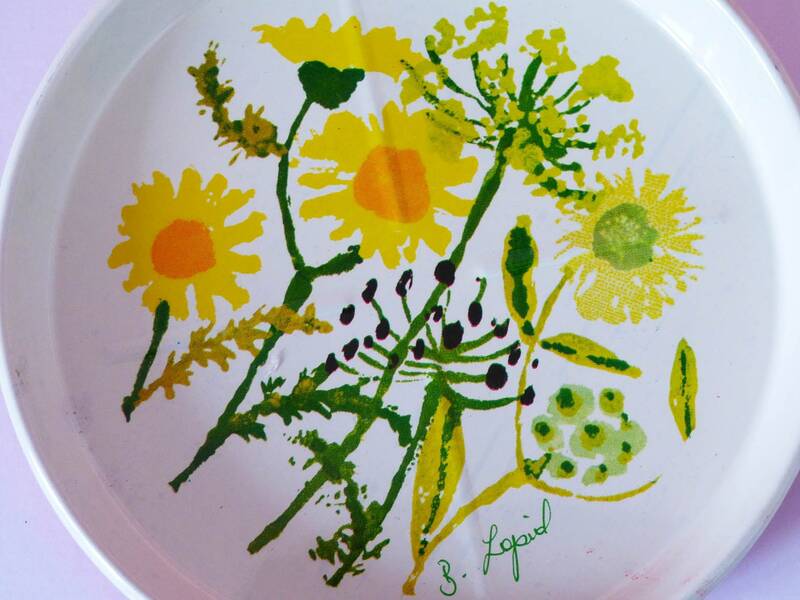 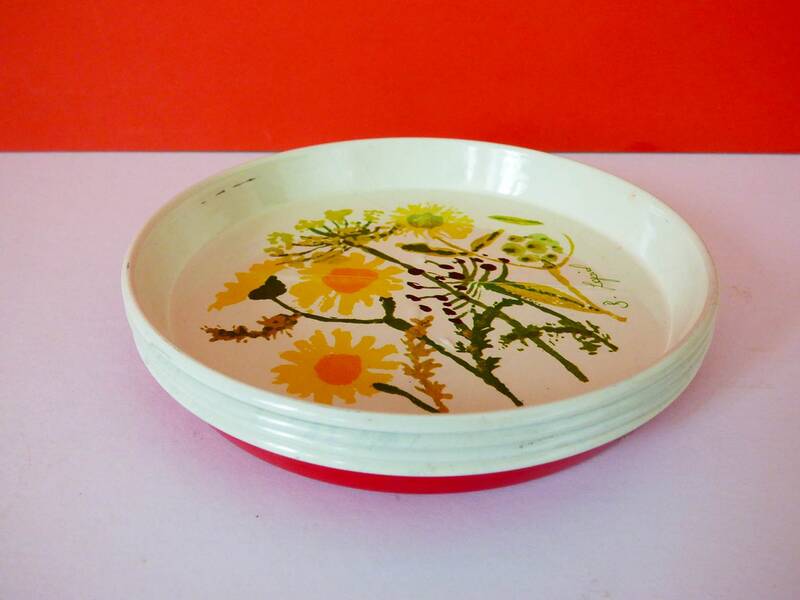 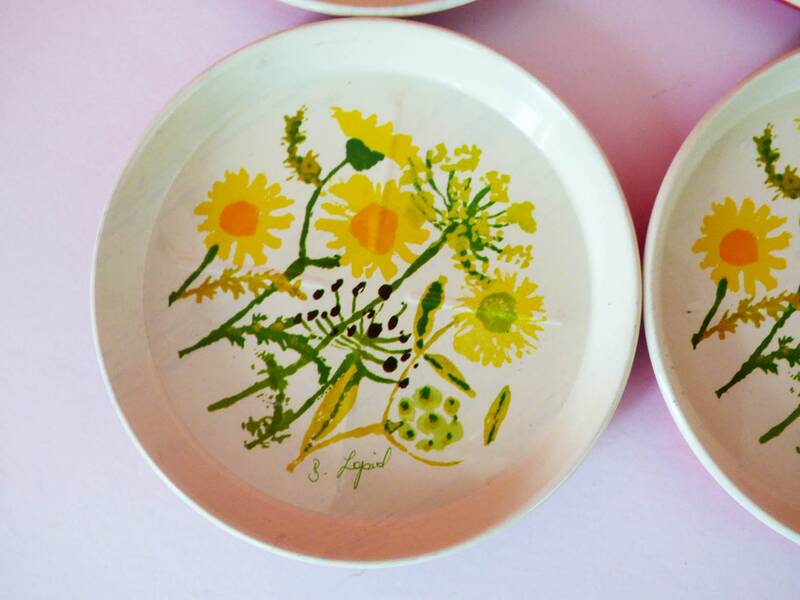 4 Stunning metal coasters originally from Denmark, although its possible they are Norweigian with a lovely illustration of yellow wild flowers, each one is signed B Lopid. 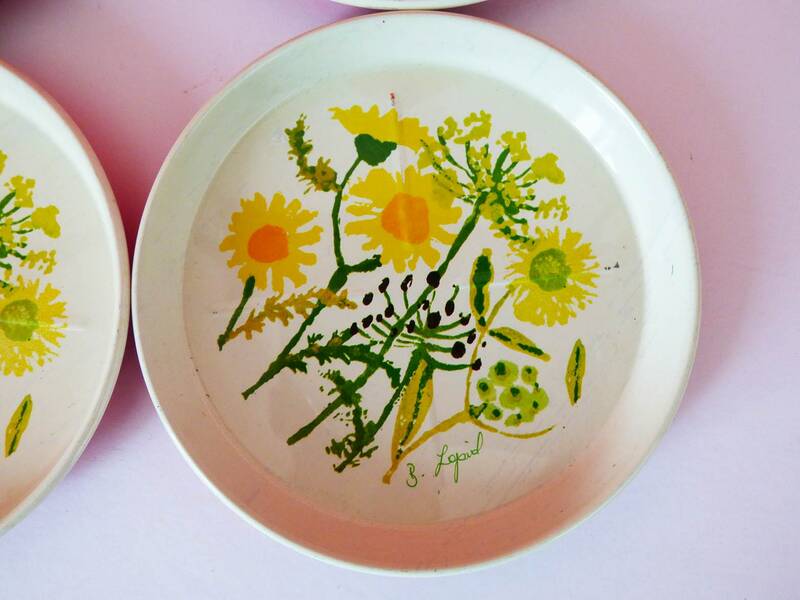 The coasters are in great for there age, possibly never used. 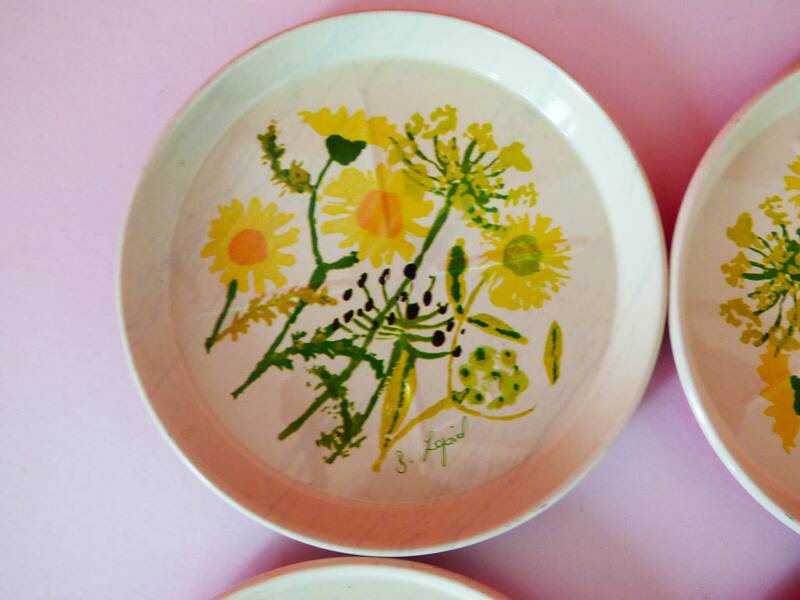 Each coaster measures 9.5cm in diameter.